John Leighton believes that trial attorneys play a vital role in today's society. In addition to helping victims of negligence achieve a financial recovery, they also send a message to corporate America that unsafe products, services and practices will not be tolerated. "I am a crusader for safety," said Leighton, who is the founding partner of Leighton Law, P.A., with offices in Miami and Orlando. "Only after losing expensive verdicts or settlements have companies invested in life-saving safety enhancements like automobile seat belts and air bags or surveillance videos and lighting at ATMs. But no one should have to lose their life or suffer a serious injury because a manufacturer, resort, bank, apartment owner, nursing home, or hospital was cutting corners in trying to minimize costs." A board certified civil trial lawyer who focuses on representing catastrophically injured victims of negligence, crime and medical mistakes, Leighton has more than 32 years of experience in litigating and trying cases throughout Florida and other states. “As a plaintiff’s attorney, I want to see that the work I’m doing is making a difference for individuals, families and our society as well,” said Leighton. Leighton encourages South Florida residents and visitors to make safety a priority when choosing a hotel, renting an apartment, going to a club, or selecting a doctor or hospital for treatment. "As incredible as it sounds, medical mistakes are the third leading cause of death in America, almost ten times as many as those killed in car crashes," he said. "You need to do your research and ask plenty of questions before making a decision." Leighton grew up in Hollywood. As a teen, Leighton became editor of his high school newspaper and wrote articles for The Miami Herald. He also led his high school debate team to a state championship. But rather than go into journalism, he focused on law, earning his bachelor’s and law degrees at the University of Florida. 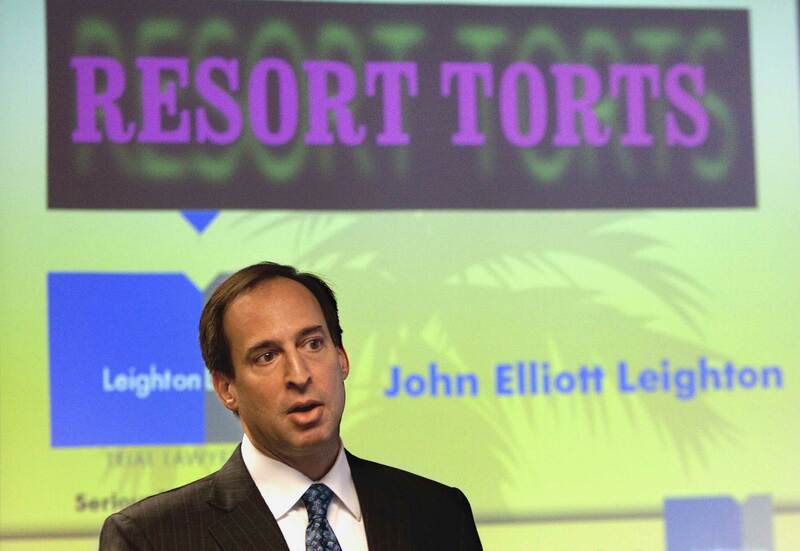 Drawing on his on-the-scene observations and extensive legal research, Leighton was successful in showing that the parasail operator was acting as an apparent agent of the beachfront resort hotel. After the case was settled, Leighton fought for a law to prevent future parasailing deaths. Seven years after the tragedy, the Florida Legislature finally passed parasail regulations with the “Amber May Law” in 2014, the first of its kind in the country. A nationally recognized authority on inadequate security litigation and other issues, Leighton is often asked to comment for the media, including NBC’s Today show, CNN, Inside Edition, and other news programs. Several years ago, he began hosting legal education seminars on Resort Torts, a term he coined that includes cruise ship, hotel, amusement park, maritime, and violent crime/negligent premises security cases. This October will see an update to Leighton's two-volume treatise, “Litigating Premises Security Cases” (Thomson-West, 2006), a comprehensive text on evaluating, preparing and trying premises security cases. Professionally, Leighton serves as chair of the American Association for Justice's Inadequate Security Litigation Group, and is chairman of The Academy of Trial Advocacy, a national invitation-only association of the nation’s leading catastrophic injury trial lawyers. He sits on the board of advisors of the National Crime Victim Bar Association, which honored him with its 2007 “Advocate of Justice” award for his work on behalf of crime victims. 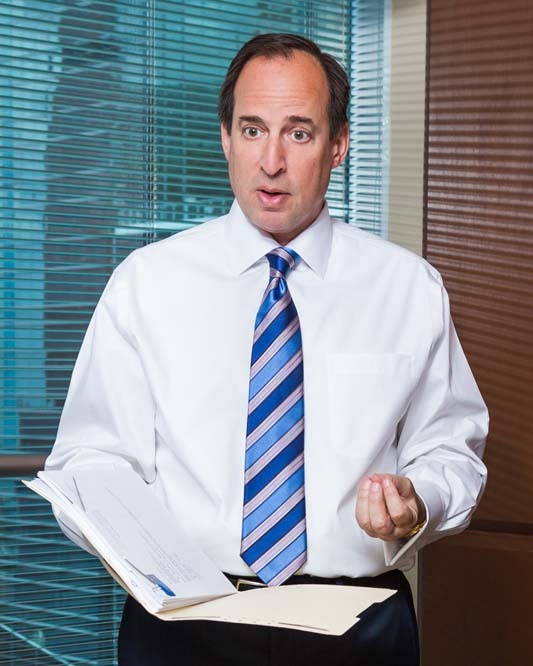 Reflecting on his career, Leighton said, "Our clients have experienced terrible things due to someone's negligence. I feel very grateful to have an opportunity to provide them with the economic security that can change their lives for the better."